Exploring musical soil ever since bursting onto the scene only a few years ago, tyDI, the young Australian DJ and producer faces bright perspectives. Next to delivering quality productions, remixes and spinning in front of thousands of clubbers on a weekly basis, he’s on the rise with his very own radio show: Global Soundsystem. Broadcast all across the globe and developing a worldwide following, has now lead to the very first volume of its official compilation, ‘Global Soundsystem: California’. Only 25 years of age, you could say that Tyson Illingworth has been a DJ Mag Top 100, as well as being voted the number 1 DJ of Australia twice, hot off the release of his successful second artist album, ‘Shooting Stars’ and the mastermind behind hits ‘Talking To Myself’, ‘Acting Crazy’ and ‘Vanilla’, tyDi is more than ready to reveal the next step of his master plan. Committing his very first ‘Global Soundsystem’ compilation to the American state of California, it represents the ever-growing popularity of the genre on a worldwide level. 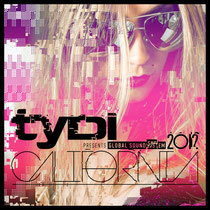 Next to some brand new tyDi productions, ‘Global Soundsystem: California’ brings the tunes of Chicane, Andy Moor, Andain, Heatbeat, Gareth Emery and many more. It’s out August 17th on Armada Records.